HÀ NỘI — Those convicted of crimes like treason, espionage or terrorism will not be granted clemency, according to the draft amended Law on Amnesty. The National Assembly (NA) spent the whole Wednesday morning discussing amendments to the amnesty law which first went into effect a decade ago. Regarding Article 12 which regulates crimes that are not subject to pardon, several NA deputies insisted to keep clemency off limits to anyone who was once pardoned before or had two criminal offences or more. The NA’s Standing Committee’s which also deemed the conditions appropriate and were able to show the strictness of justice. The article in question also adds more crimes to the no-no list, all of which are felony offences. Accordingly, they include those found guilty of treason, attempts to overthrow the Government, espionage, territorial security breaches and violent and terrorism activities to overthrow the Government. Convicted terrorists, war criminals and those acted against peace and humanity are also not eligible for future amnesty. The draft amended Law on Amnesty currently sets out three timelines for mass amnesty: during significant national events, big national holidays or in special cases. A number of NA deputies asked the law to instead specifically select three biggest holidays of the Independence Day September 2, the annual Tết (Lunar New Year) and the Reunification Day April 30 to be the timelines for presidential pardon. 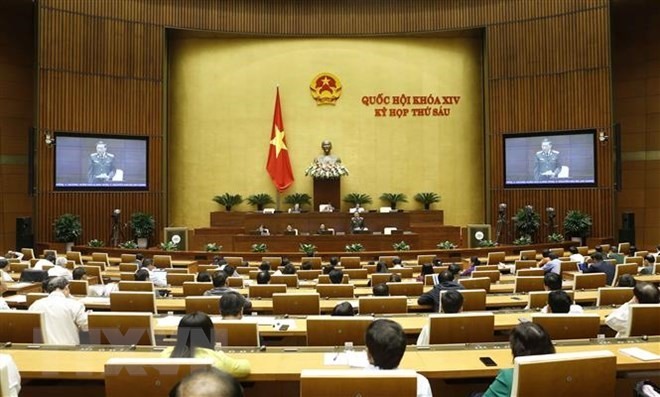 Hải Dương Province deputy Vũ Trọng Kim said that picking which holiday events to grant clemency each year would totally depend on the President’s decision. “It would help to ensure the clarity in the law while avoid any rushes that might cause mistakes in the amnesty process,” he said. Kim also complained about the frequency of the presidential pardons over the last 10 years which stood at an average of once every 1.5 years – a “little bit too dense”, he said. The deputy suggested widening the gap to every three or five years for a mass clemency to be granted. The law should also restrict the number of convicted people getting pardoned each time, some deputies said, for example 5,000 or 7,000 people, so that the President can consider particular conditions for clemency to match those numbers.